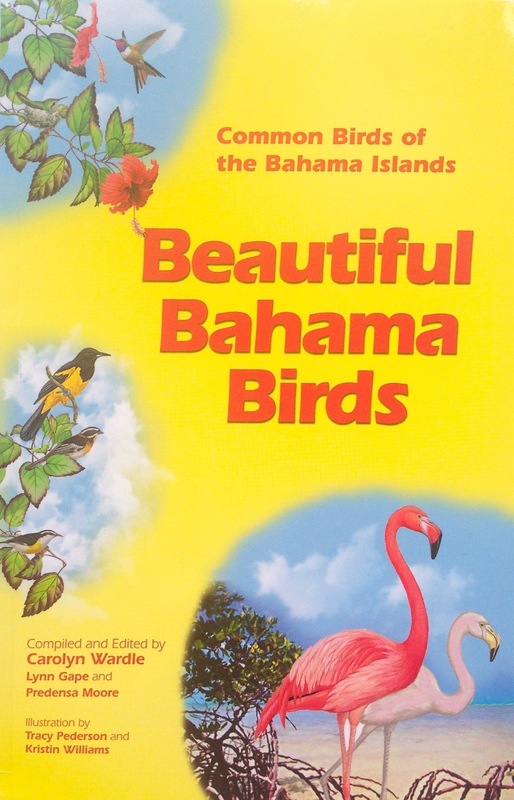 The number of bird books that are devoted entirely to the Bahamas is very small. Most books that include the region have a wider ambit. 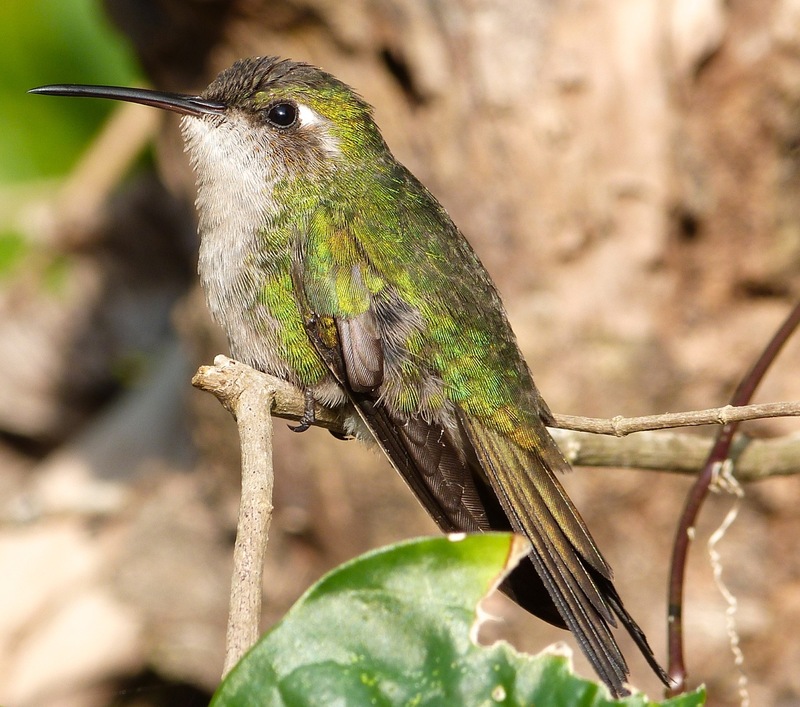 They feature birds of the West Indies as a whole, many of which are also found on Abaco but a good proportion of which are not. 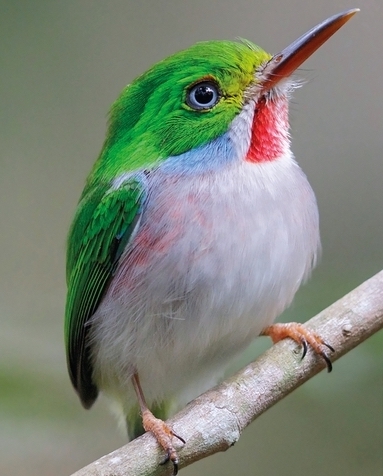 The header image, for example, is a resolutely non-Abaconian Jamaican Tody and is the cover bird for the book featured in this post. 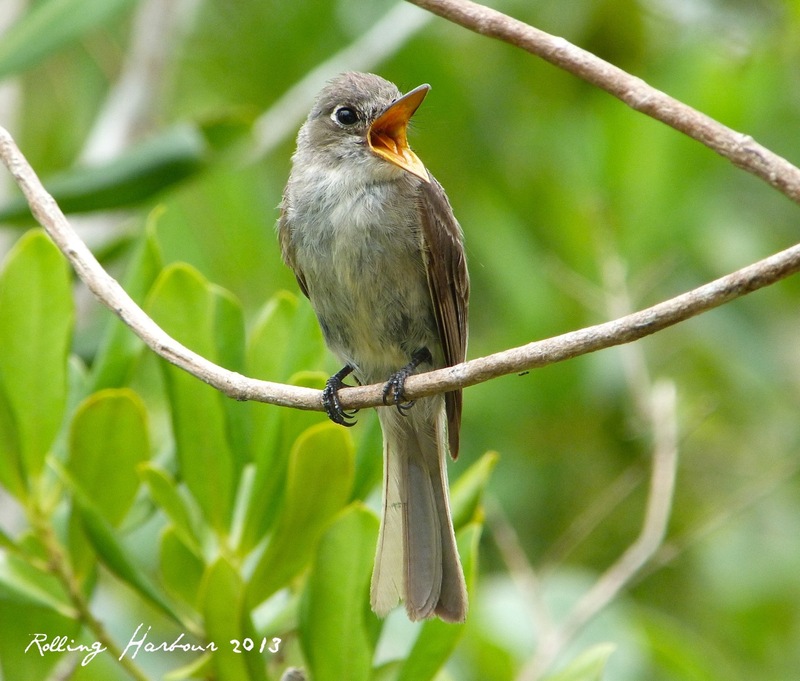 The go-to Bahamas field guide is Bruce Hallett’s magisterial Birds of the Bahamas and TCI. So far so very good – except that it is out-of-print and highly sought after. I have just checked and a copy on Abe.com comes in at around $300! I have 3 copies but 2 are out on loan, probably permanently… There are several other book contenders for consideration, all appearing on my book list linked above. These include the legendary James Bond’s book dating from 1936 (see HERE for more) and its many subsequent incarnations (my 1947 2nd edition shown above, also featuring a tody); Brudenell-Bruce’s charming but dated book; Rafaelle’s rather good Field Guide of the Birds of the West Indies; and the excellent recent Bahamas-produced book Beautiful Bahama Birds by Carolyn Wardle, Lynn Gape and Predensa Moore that features most of the birds one might be likely to see, with help with locations and so on. I reviewed it HERE. 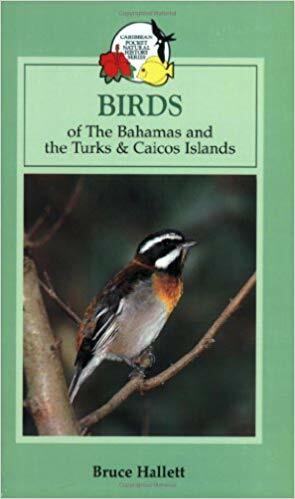 There’s one small book that is, at first glance, far too wide in scope and slim to be of much use in the Northern Bahamas. 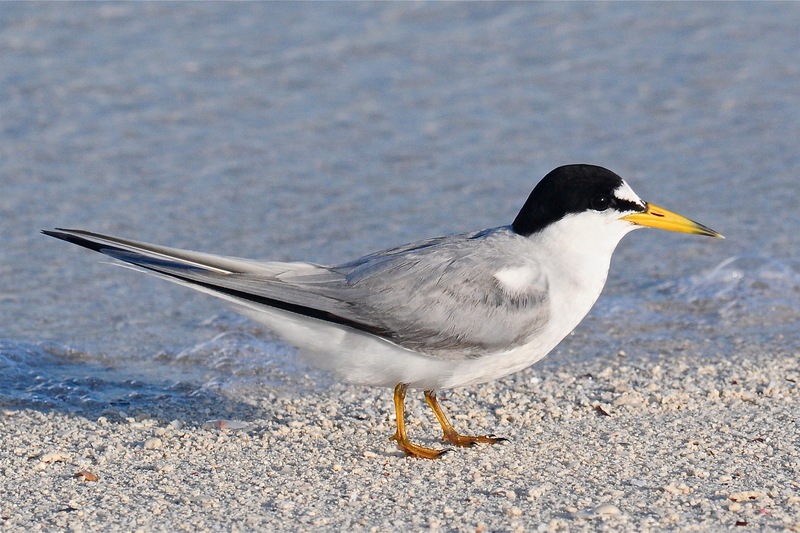 However, it contains many of the birds that a casual birder might come across on Abaco. 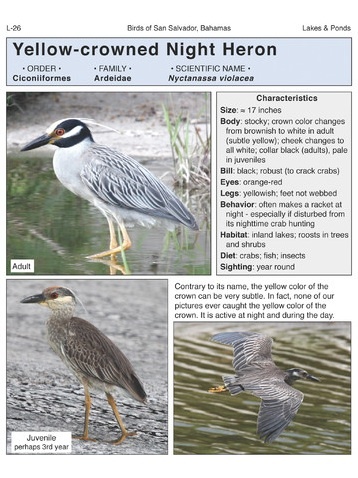 It’s not comprehensive by any means, but it’s useful and handy. 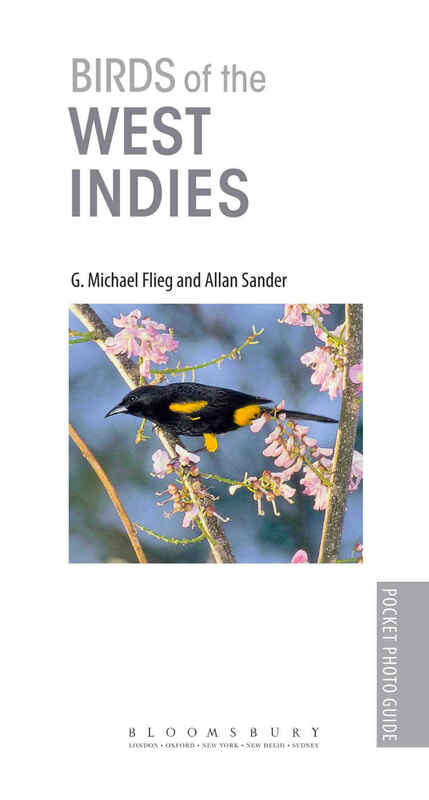 First published in 2000 with subsequent reprints, Birds of the West Indies by Flieg and Sander was repackaged as a new edition last year. 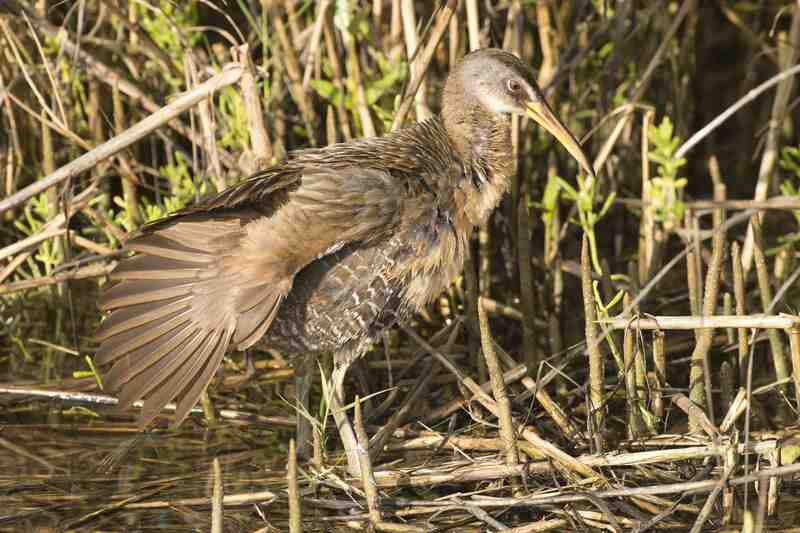 I meant to write about it sooner; now I have got round to it. Here is a photo of the original – already a small pocket-sized book – and on top, the new revised edition: slimmer, lighter and apparently more up-to-date. 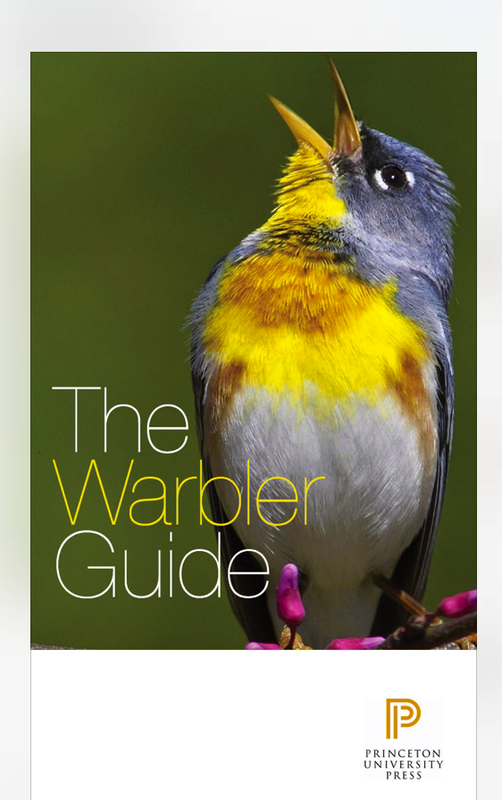 This compact pocket guide has 144 pages of photos of some 250 species, with brief descriptions (135 pp in the old version). 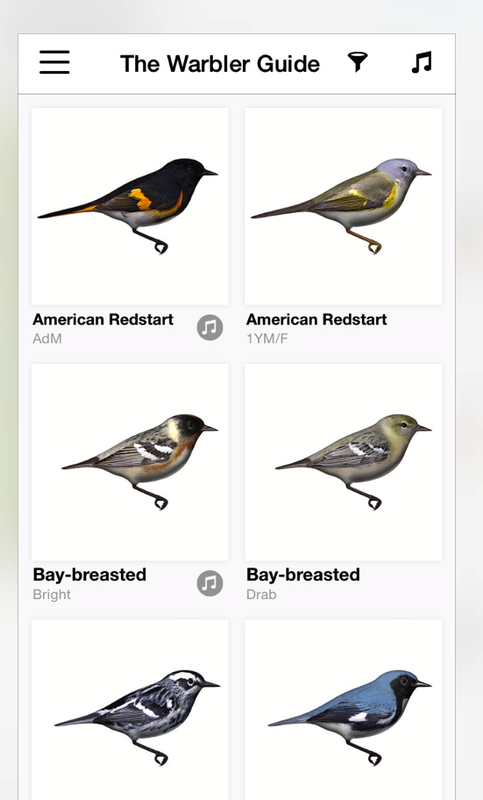 Bird groups are listed under numerous helpful coloured-coded corner tabs (‘Gulls & Terns’; ‘Woodpeckers’; ‘Vireos’ etc). 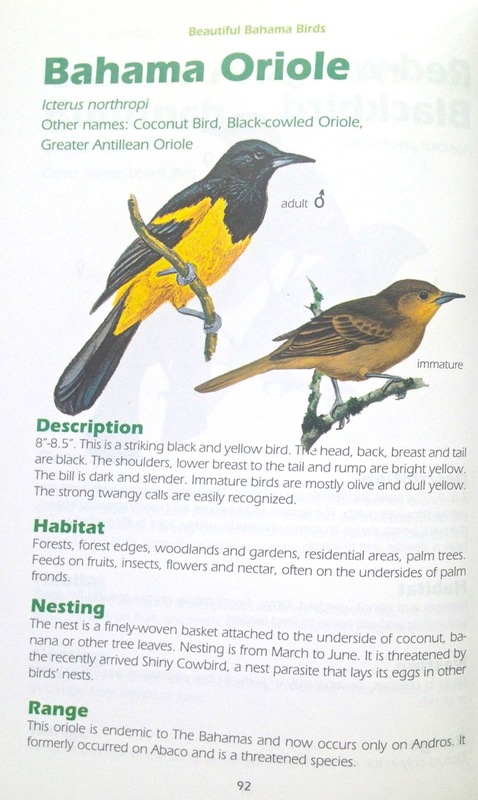 The book also contains (very) brief notes on birding locations; a detailed guide to the endemics throughout the region covered; a glossary; a reading list; and a decent index. 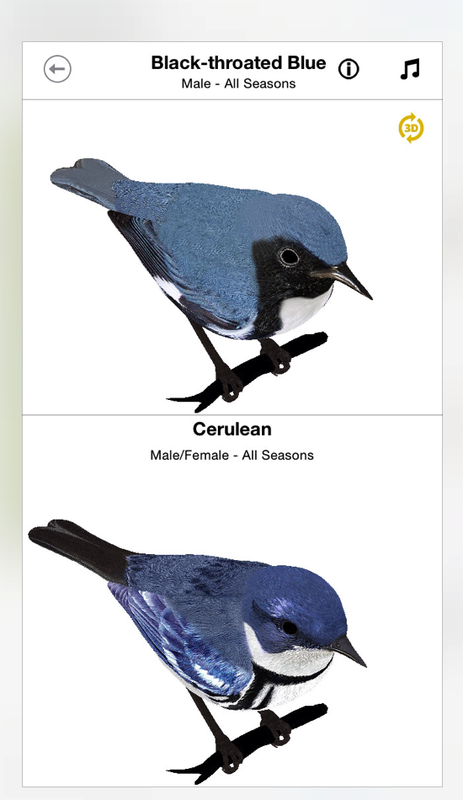 The photos in the original are generally quite clear and helpful for ID by the puzzled amateur birder; but inevitably the use of pre-millennial photographic equipment does not quite do the birds justice in terms of the bird book images we have become accustomed to in the digital age. 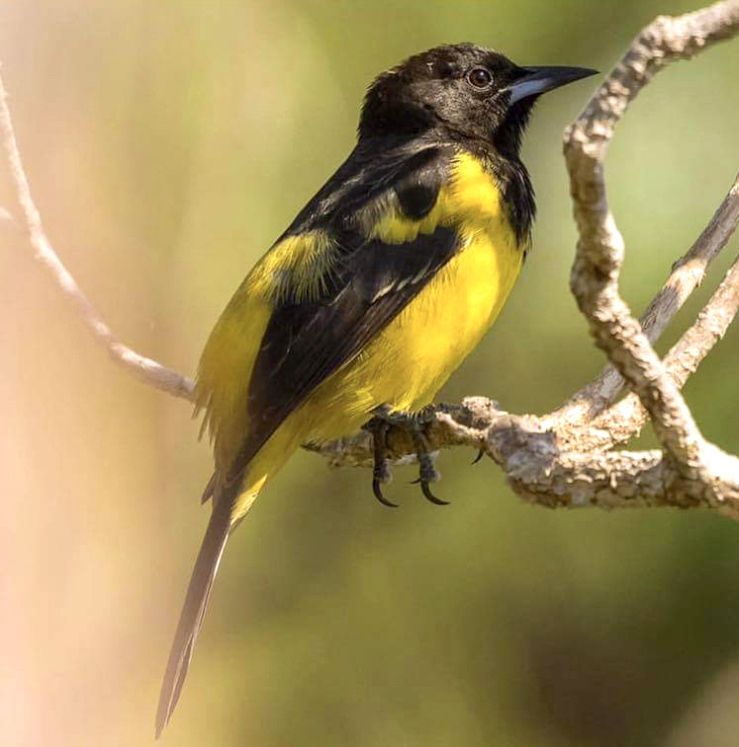 The endemic bird we know as the Bahama Oriole (called Black-cowled Oriole in the book) was originally correctly described as ‘a resident of Andros‘, but also said to be ‘a rare resident of Abaco… threatened by unknown factors’. 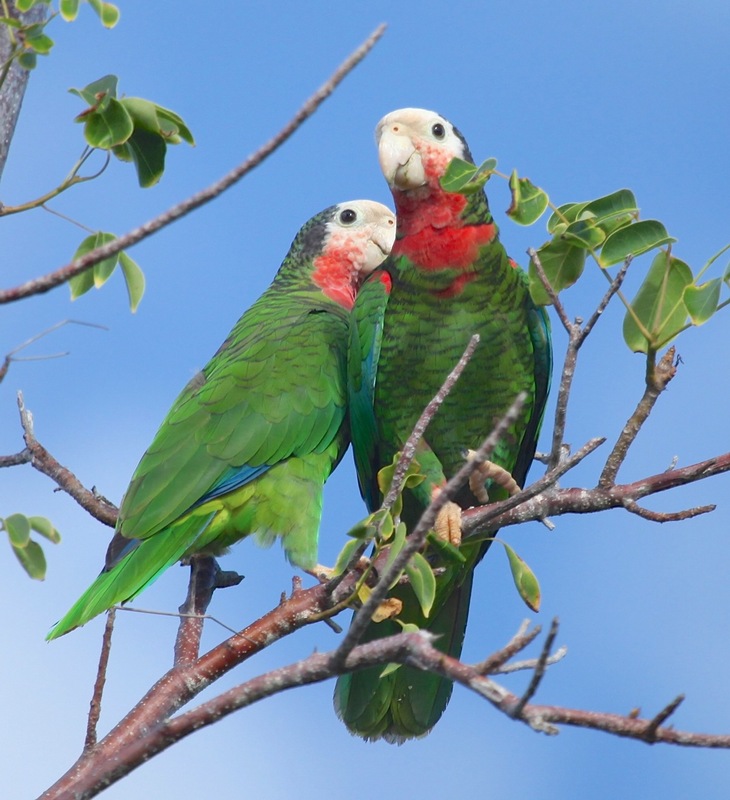 In fact by 2000, the bird was already believed to be extirpated from Abaco during the previous decade. 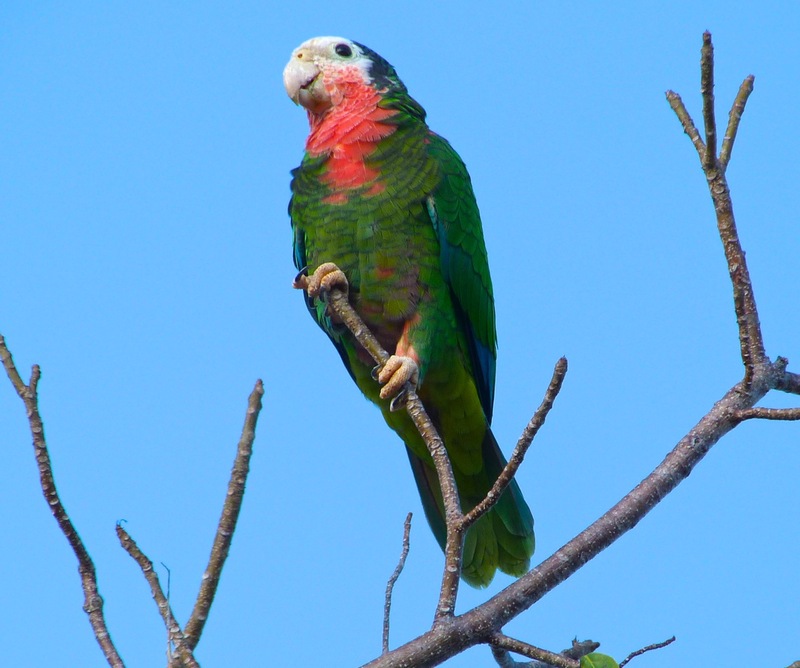 None has been found since, and no one now expects to find one. 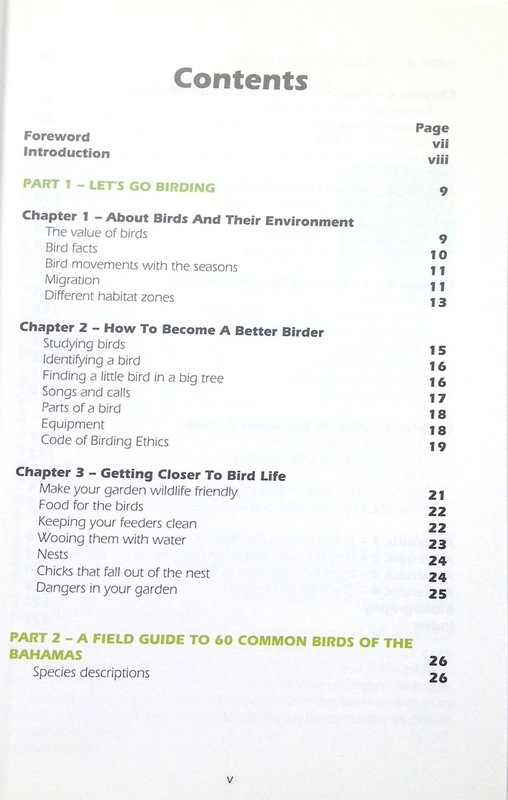 The text, however, is unchanged in the new edition. 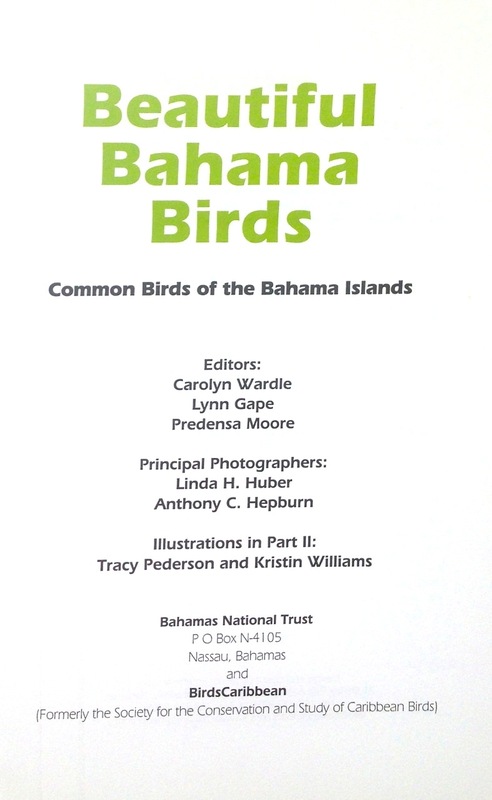 The original edition gives the Bahamas 3 endemic species: the swallow, the woodstar and the yellowthroat. 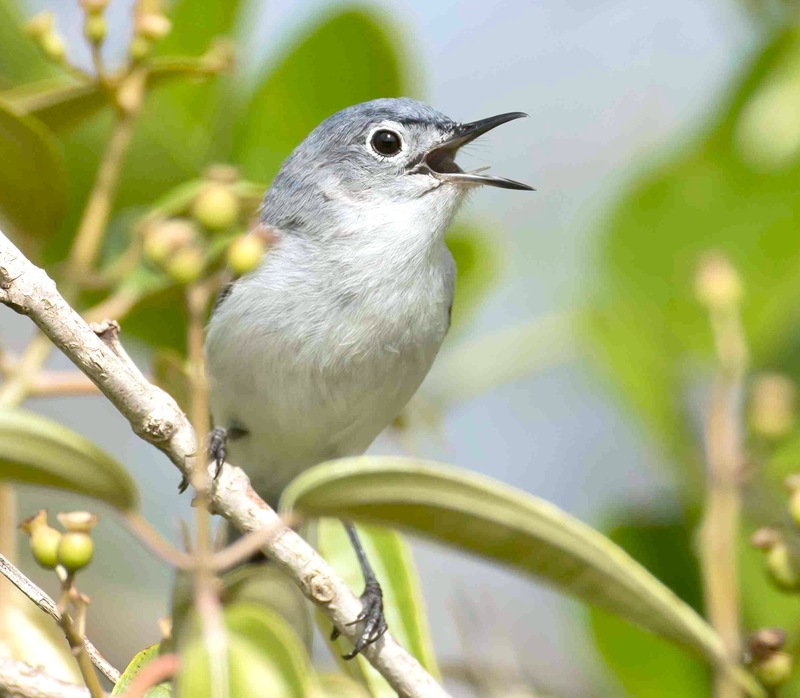 Unchanged for the new edition is the fact that in 2011, the AOU awarded endemic status to another species – the Bahama Warbler. I haven’t checked for other locations, but similar changes have occurred over the period elsewhere in the region covered, so further inaccuracies are pretty inevitable. 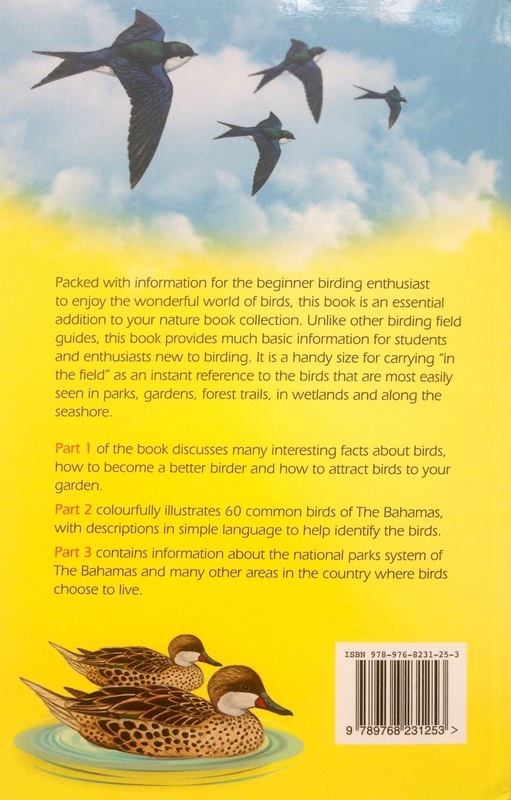 If I now had to recommend for an affordable, simple, portable, practical bird guide for the casual birder in the Bahamas, then I would go now go for Beautiful Bahama Birds. 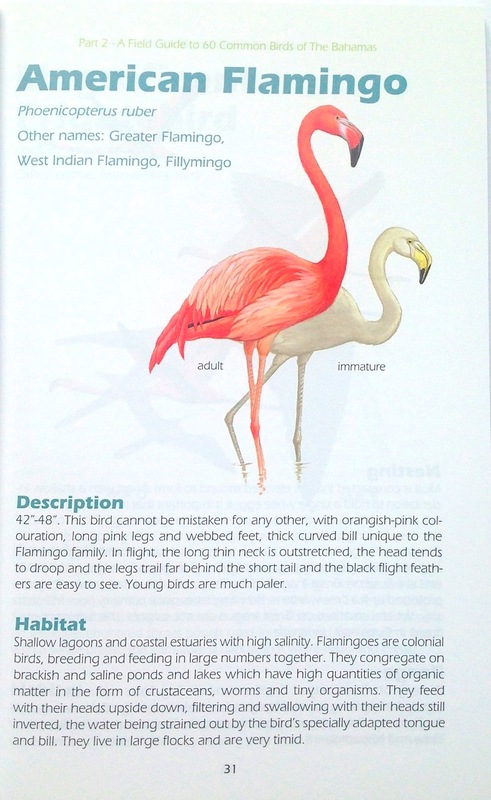 It is Bahamas-specific for a start; although it contains drawings rather than photographs, they are fresh and informative; it was published in 2014 and is as accurate as you could wish for as at that date; and it has a great deal more useful information for Bahamas (as opposed to more general) birding. The link to my detailed review is given above. 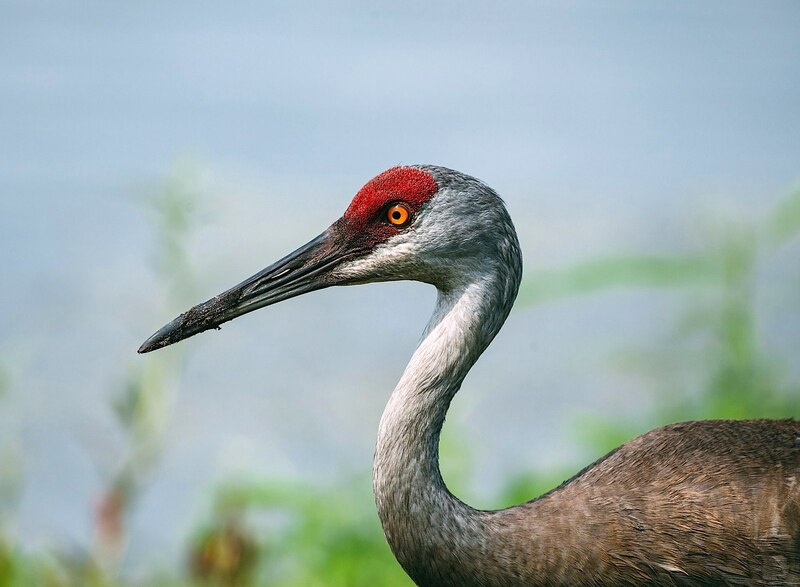 Credits: well, I took some photos from the book and publishers material (eg a good crop for the header image) for non-commercial illustrative purposes, so it’s more like apologies to publishers New Holland (original ed.) and Bloomsbury (new ed.). 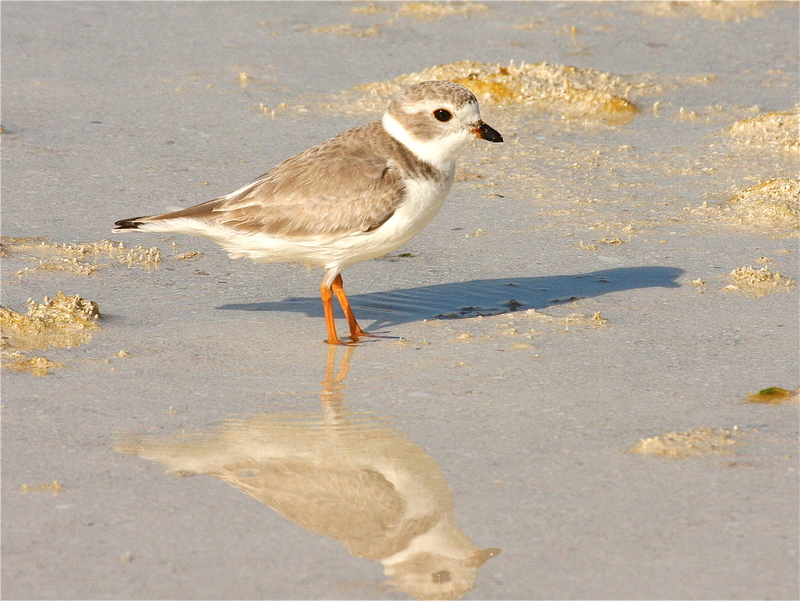 Last image – RH. 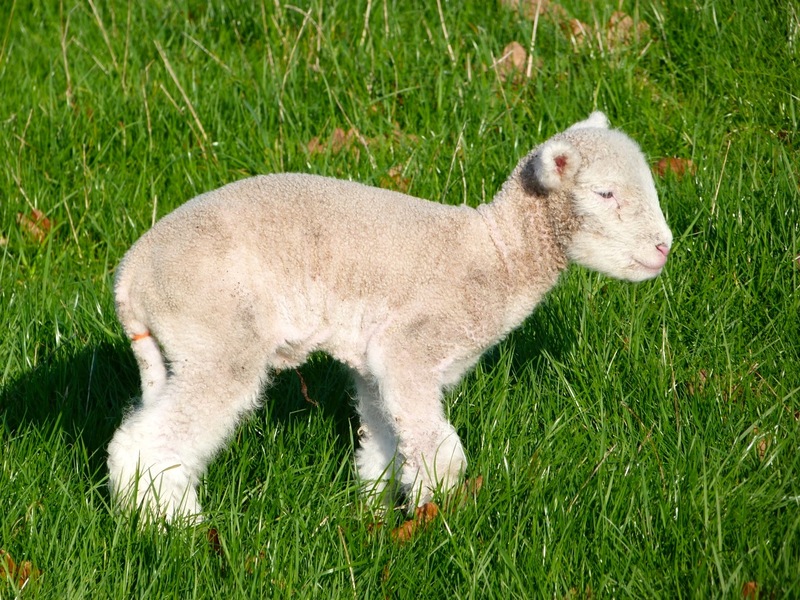 A new season – the seventh – of the Delphi Club is now underway. 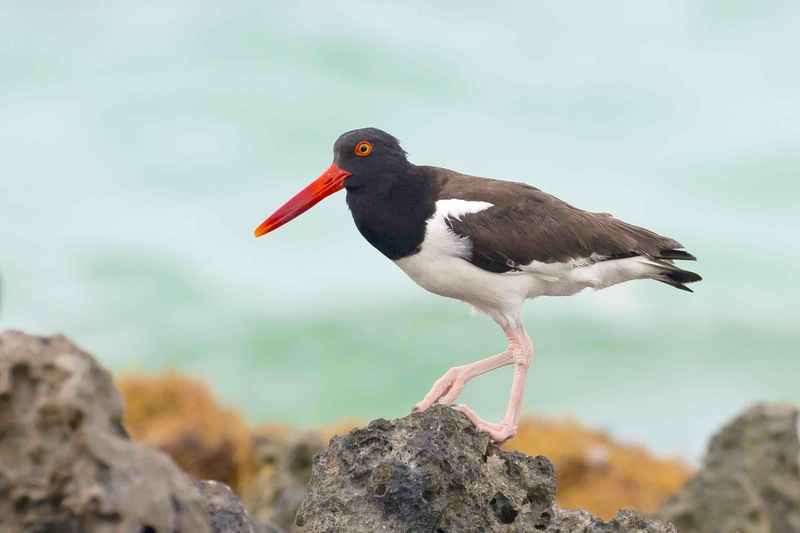 There are fish to be caught, poolside inactivities to relish, chef-prepared meals to eat and a capacious wine cellar to be explored. 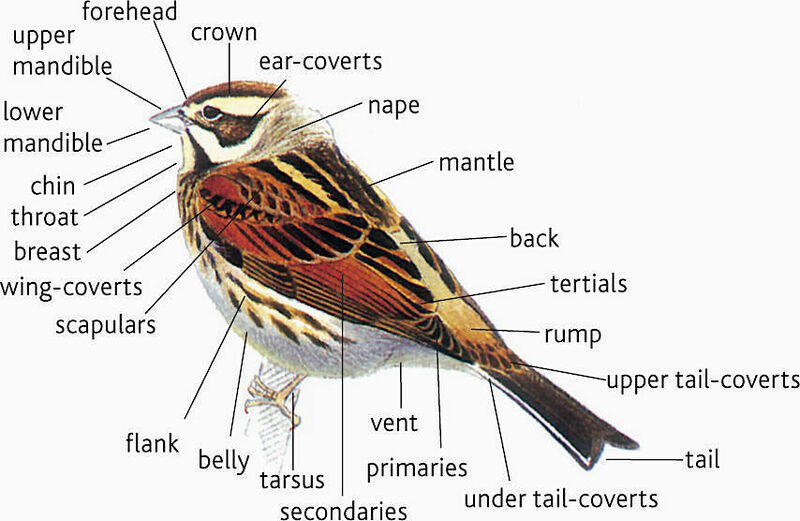 To which, add birds to be spotted. 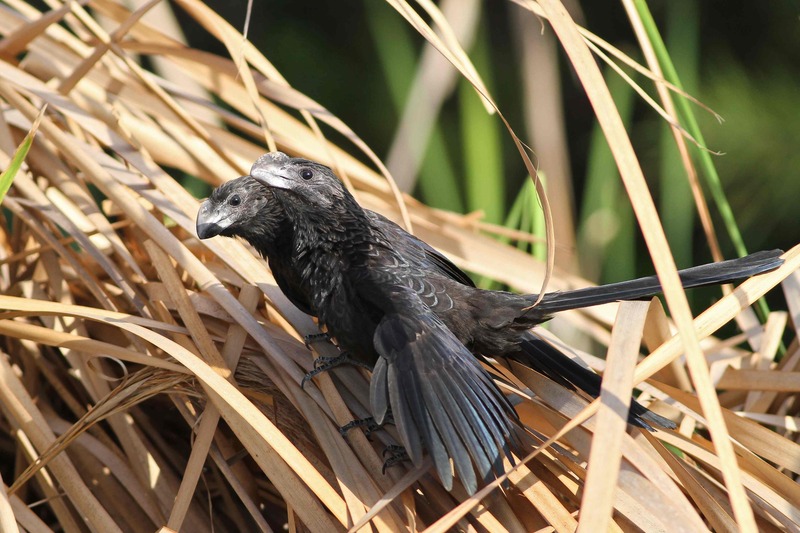 Delphi has turned out to be a superb place for birding – not a feature given prominence in the original prospectus… The Club’s remoteness and its rich mix of pine forest, coppice, gardens and a pristine one-mile beach ensure the prefect protected habitat for a vast number of bird species common, uncommon and rare. 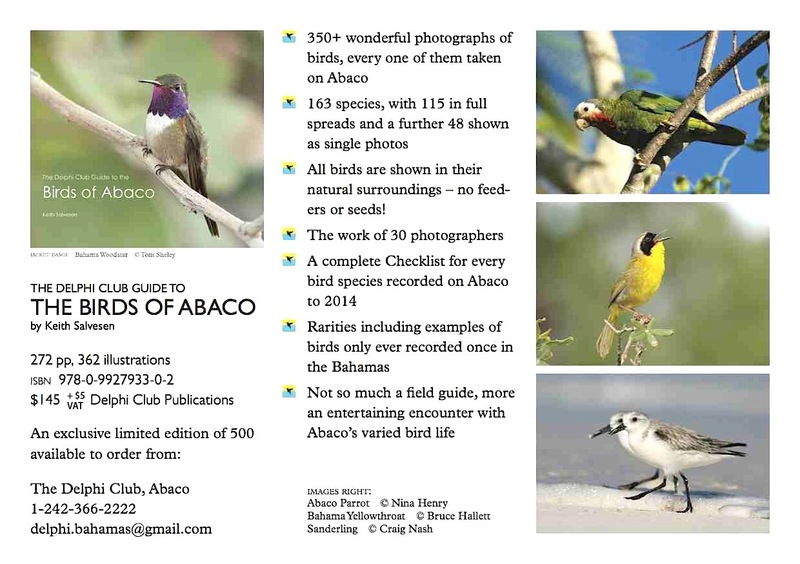 Eighteen months ago, “The Delphi Club Guide to THE BIRDS OF ABACO“was published. The originator of the idea – as with the entire Delphi project – was of course Peter Mantle, the publisher. 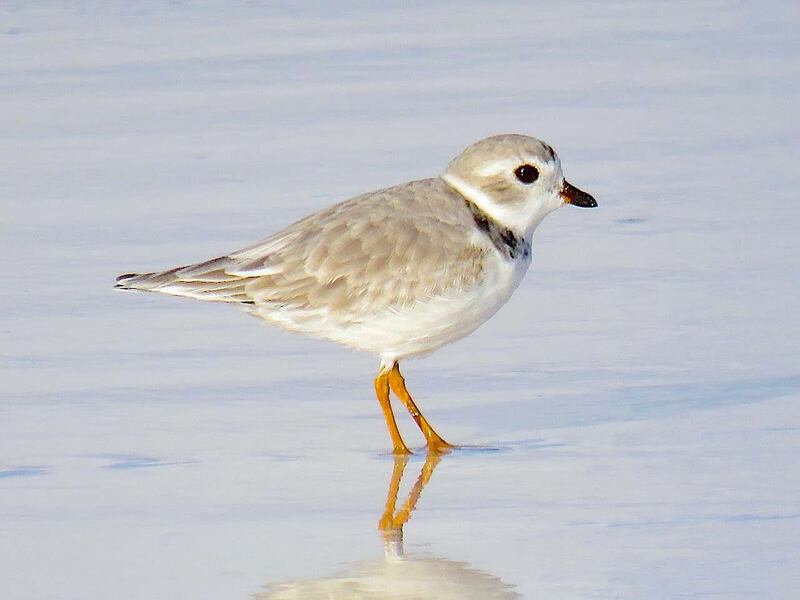 The book took 16 months from conception to the arrival of three pallets of printed books on the dockside in Marsh Harbour, having travelled by a tortuous route from specialist printers in Italy. 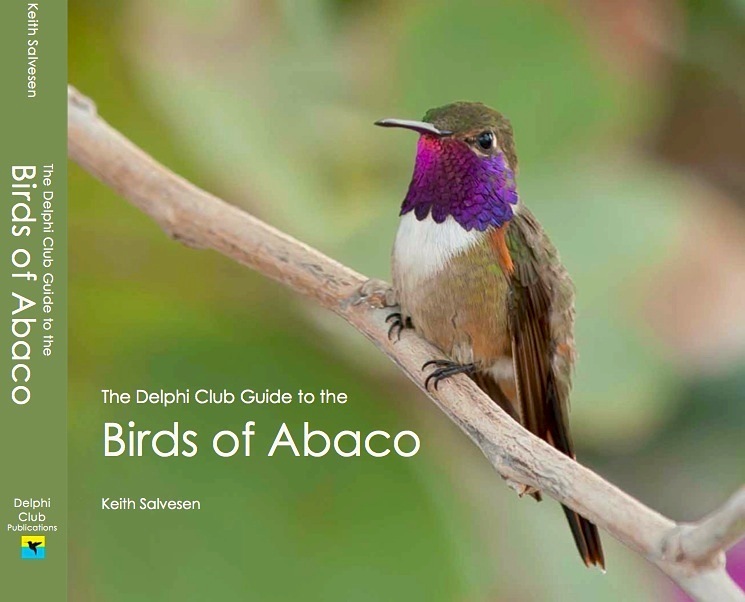 The book was launched at the Delphi Club in March 2014, to generous enthusiasm and support both on Abaco and beyond. 75% of the edition has been sold already. 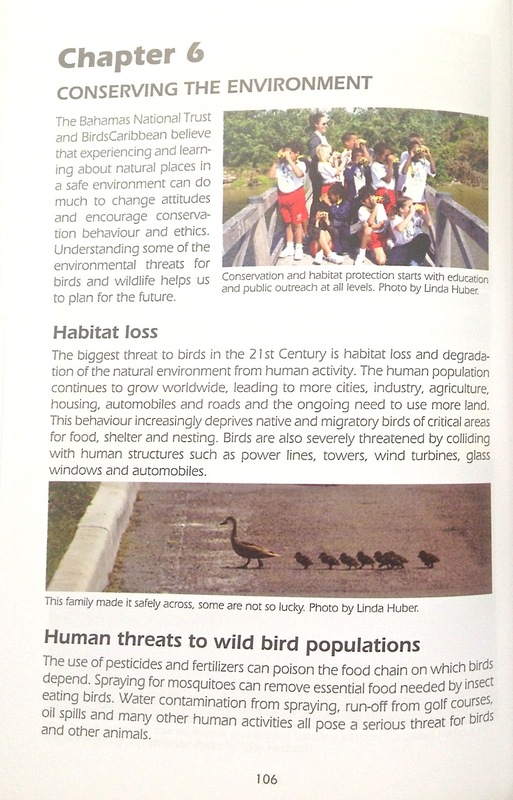 In addition, Abaco schools, libraries and wildlife organisations have been given copies for educational purposes. 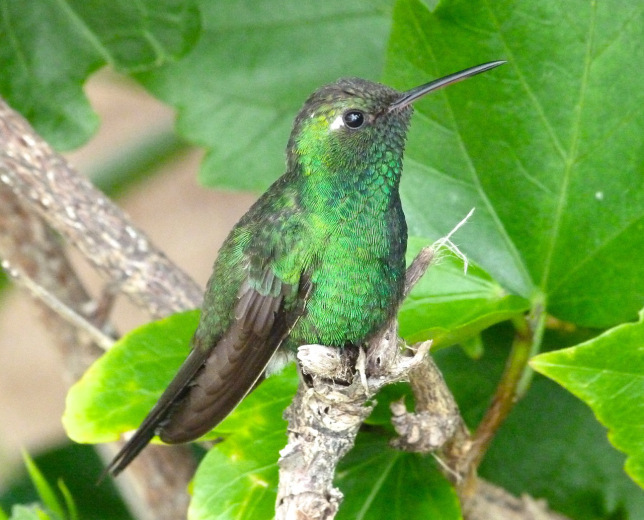 A percentage of profits is to be given to local wildlife causes. 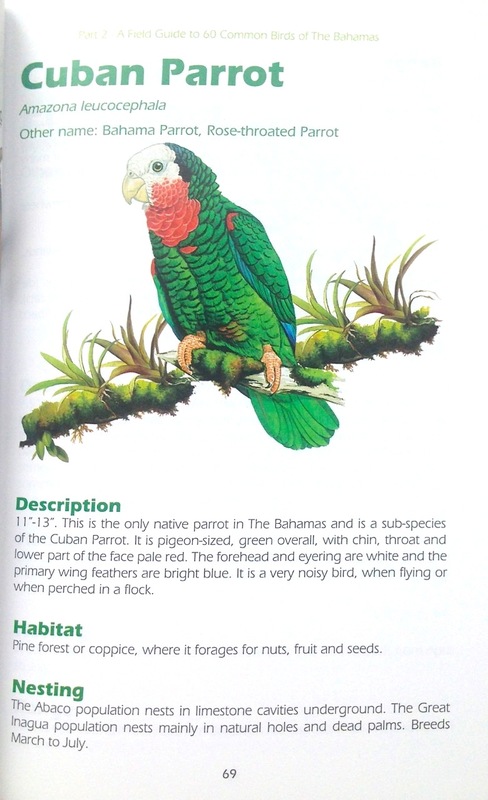 We couldn’t be more pleased with the response to this lavish book, a unique publication in the Bahamas. The incremental growth of social media is rapid. 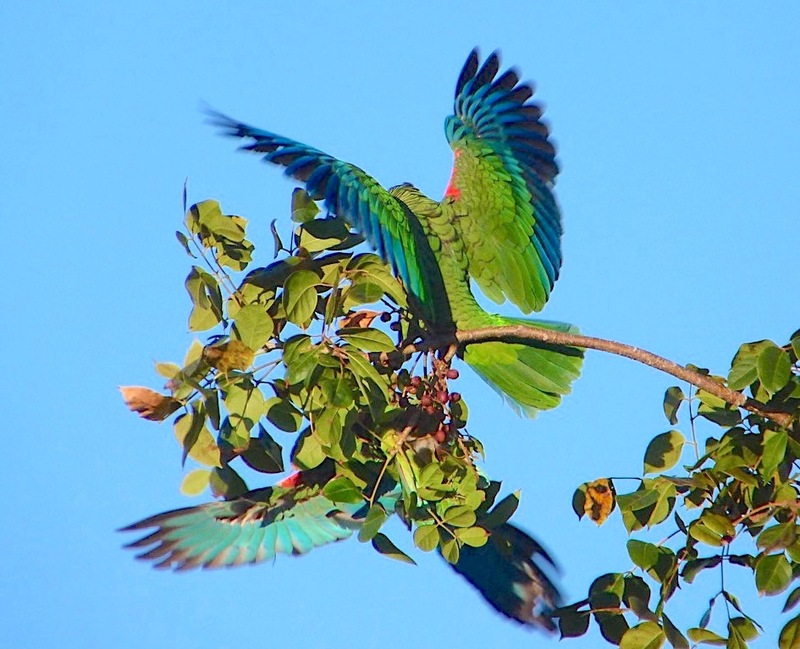 Blogs gain readers. 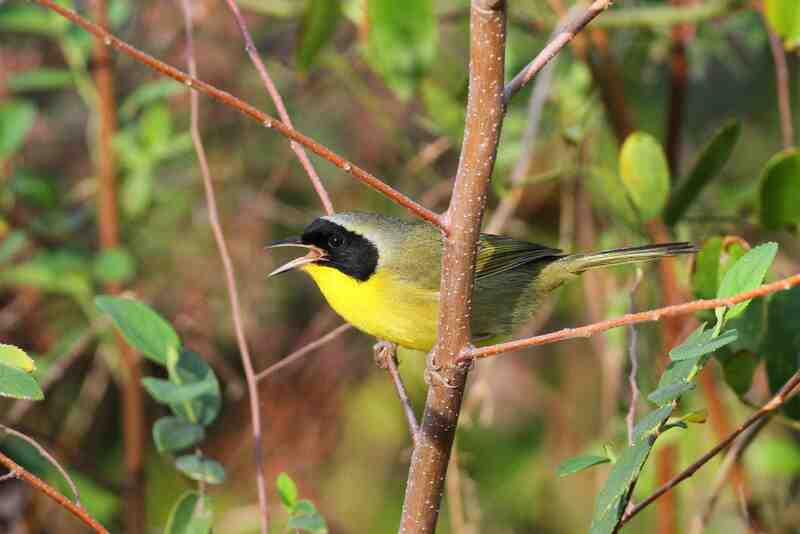 Facebook and Twitter pages gain new friends and followers. 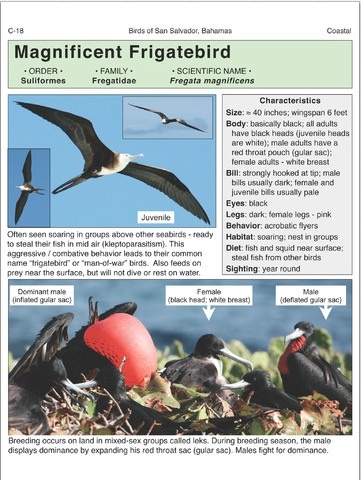 The start of this new Delphi season is therefore a good moment to post a reminder about the book, illustrated with a few of the wonderful bird species featured. 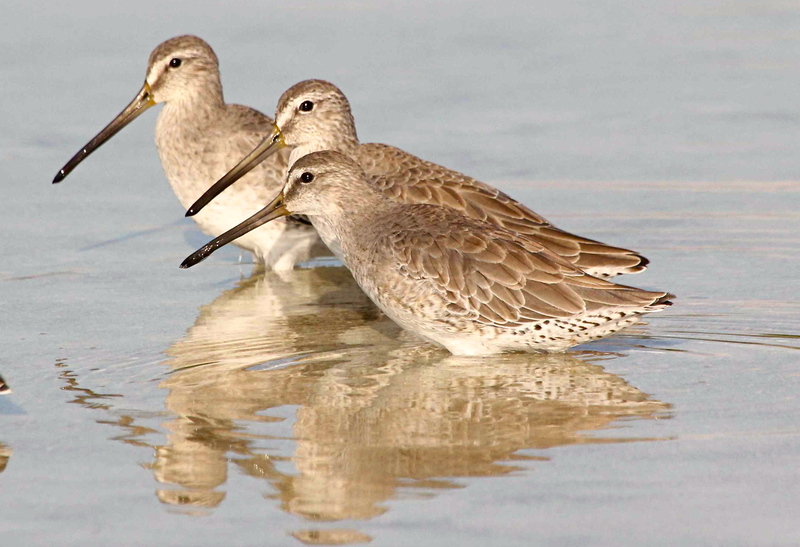 And… ahem… there are only 57 more ‘sleeps’ until Christmas. 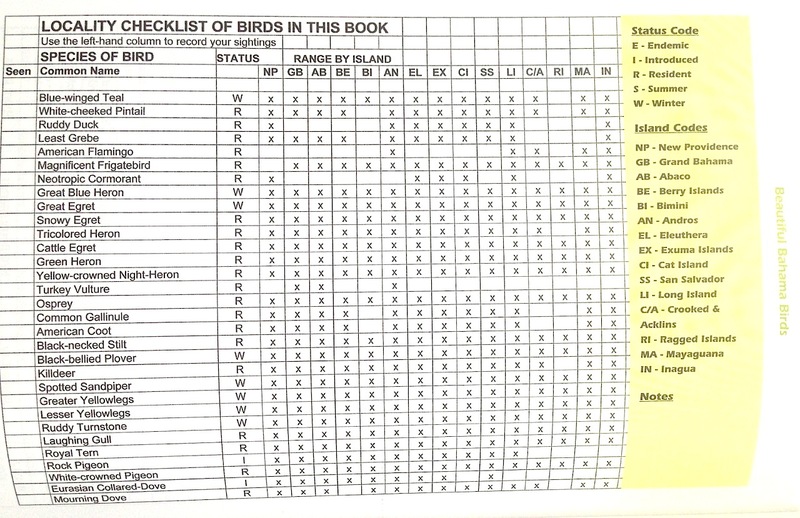 A complete checklist of every bird recorded for Abaco since 1950 up to the date of publication was compiled specially for the book. 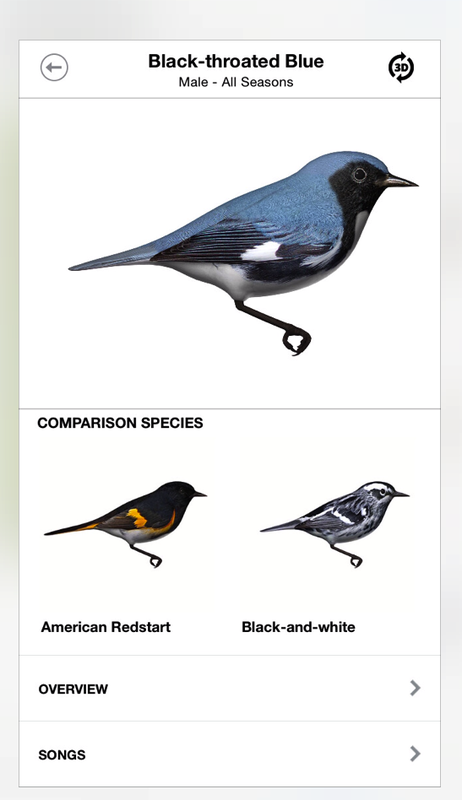 A neat code was devised to show at a glance when you may see a particular bird, and the likelihood of doing so. 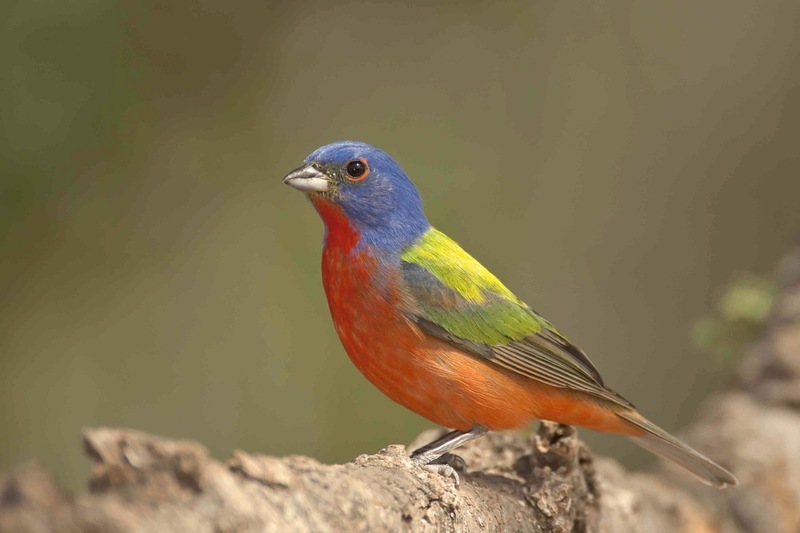 Birds found at Delphi are also marked. The book is published by the Delphi Club (contact details below). The project was managed by a publishing specialist in art books. 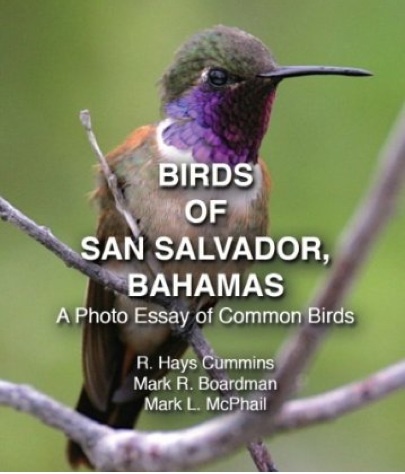 The author is the wildlife blogger more widely known on Abaco and (possibly) beyond as ‘Rolling Harbour’. Oh! So that would in fact be Mrs Harbour and myself. Well well! 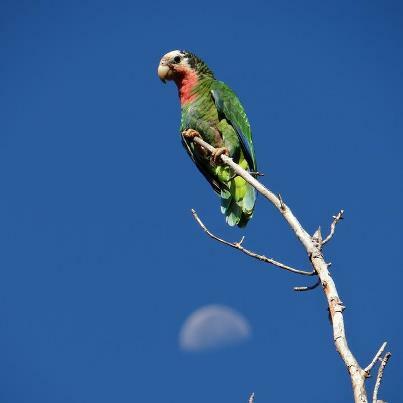 What are the chances? 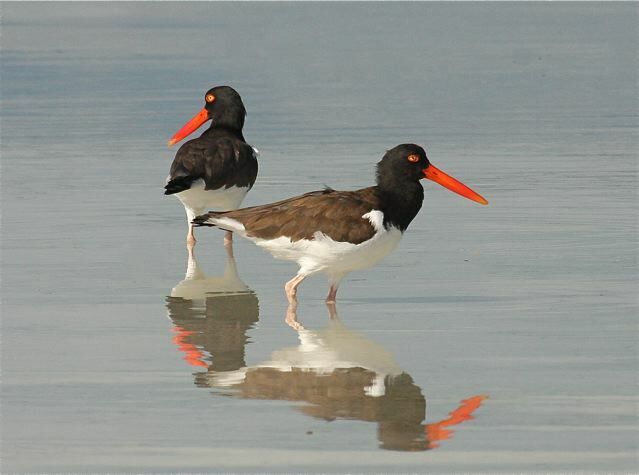 WHAT HAS THE GESTATION PERIOD OF A WALRUS (16 MONTHS) AND WEIGHS THE SAME AS A PAIR OF FULLY GROWN PINEAPPLES (2 KILOS)? 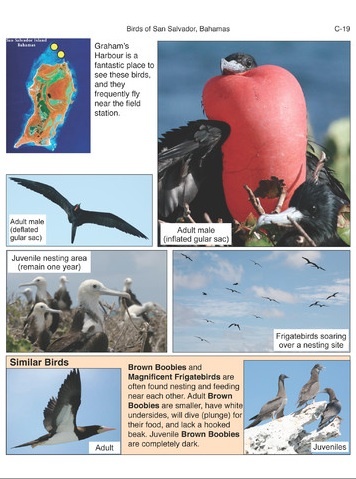 A unique bird book is been published and has arrived on Abaco today. Printed in Italy at the end of January, it has made its way from Florence via Bologna, Leipzig, Brussels, Cincinnati, Miami and Nassau. Having spent an unexpectedly long sojourn in Nassau, 2 pallets of books are now safely at the Delphi Club… at last! The book is published by the Delphi Club (contact details below). The project was managed by a publishing specialist in art books. 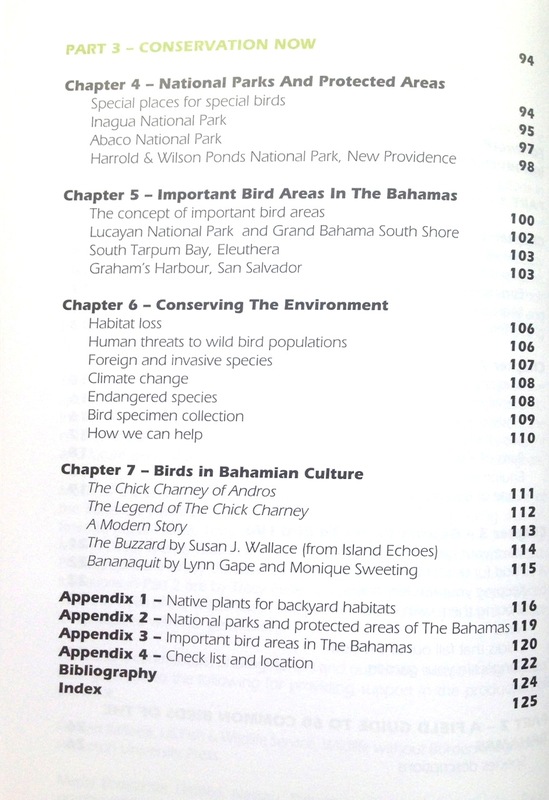 The author is the wildlife blogger more widely known on Abaco and (possibly) beyond as ‘Rolling Harbour’. Oh! So that would in fact be Mrs Harbour and myself. Well well. What are the chances?